FURNITURE is the mass noun for the movable objects intended to support various human activities such as seating and sleeping. Furniture is also used to hold objects at a convenient height for work (as horizontal surfaces above the ground), or to store things. Furniture can be a product of design and is considered a form of decorative art. In addition to furniture's functional role, it can serve a symbolic or religious purpose. It can be made from many materials, including metal, plastic, and wood. Furniture can be made using a variety of woodworking joints which often reflect the local culture. 126,961 Living Room Furniture - houzz. AndrÉ Charles Boulle - (1642-1732). French cabinetmaker who is generally considered to be the preeminent artist in the field of marquetry. Charles Cressent - (1685–1768). French furniture-maker, sculptor and fondeur-ciseleur of the régence style. CONTEMPORIST - launched 2007. "Discover new products and projects in the world of contemporary design." ÉbÉniste - the French word for a cabinet-maker. Furniture Design’s Brave New Present - The New York Times. Georges Jacob - (1739-1814). Prominent Parisian master menuisiers, producing carved, painted and gilded beds and seat furniture and upholstery work for the French royal châteaux, in the early Neoclassical style that is usually associated with Louis XVI. Ikea Forever - The New York Times. IKEA'S NEW APP FLAUNTS WHAT YOU'LL LOVE MOST ABOUT AR - Wired. International Contemporary Furniture Fair | ICFF - since 1988. "High-End Luxury Furniture Fair." North America’s platform for global design. Jean-Baptiste-Claude SÉnÉ - (1748-1803). Menuisier en sièges (chaise, chauffeuse, cabriolet, fauteuil, bergère, canapé, lit de repos) parisien. Jean-FranÇois Oeben - (1721-1763). French ébéniste (cabinetmaker) whose career was spent in Paris. Jean Henri Riesener - (1734-1806). French royal ébéniste, working in Paris, whose work exemplified the early neoclassical "Louis XVI style". Less is more: the most iconic nordic designs - "Minimalist, mid-century classics are making a comeback. Clare Dowdy picks the designs keeping the style alive." List of furniture designers - Wikipedia. List of furniture types - Wikipedia. Louis Delanois - (1731-1792). Parisian menuisier who specialized in seat furniture in the late Rococo taste and an advanced neoclassical taste. Marquetry - the art and craft of applying pieces of veneer to a structure to form decorative patterns, designs or pictures. Preview: Milan furniture fair - "Designers and brands are playing a cautious game this year, reissuing classics or simply adding new elements to existing lines - and sustainability and recycling are key." Salone del Mobile | MILAN INTERNATIONAL FURNITURE FAIR - since 1961. Held annually in Milan. It is the largest trade fair of its kind in the world. The exhibition showcases the latest in furniture and design from countries around the world. It is considered a leading venue for the display of new products by designers of furniture, lighting and other home furnishings. The show, also known as "Salone", "Milano Salone" and "Milan Design Week," is held every year, usually in April, in the FieraMilano complex in the Milan metropolitan area town of Rho. The bespoke furniture makers plying their trade - The Guardian. What Ikea Product Names REALLY Mean - Huffington Post. Akanthos Bespoke Furniture - since 2008. Specialises in crafting the finest hand-made English furniture, designed and manufactured in our workshops in Norfolk, England by highly skilled craftsmen. Now a division of Swaine Adeney Brigg. ALIAS - since 1979. "I feel it." One of the most consolidated names of Italian design. ALVAR AALTO DESIGNS - brings you the best works of Finnish designers Aino and Alvar Aalto at low prices. Amara - "Life - Style - Living." Modern & Contemporary Furniture. Amy Somerville - since 2006. "Our aim is to create exquisite furniture that is harmonious and unique: a balance of precisionist lines and natural curves, quiet classicism and a touch of whimsy, designed to treasure, enjoy and amuse. All of our furniture is made to order in the UK using traditional methods, the greatest care and the highest quality materials. Most of our designs can be customised in scale and finish." ANDRÉ ARBUS - "Shop authentic André Arbus seating, tables and other André Arbus furniture from the world's best dealers. Global shipping available." AndrÉ Groult - Art Deco furniture. Andrew Martin - since 1978. "A global homeware powerhouse born from the skilful fusion of cultures, nostalgia and decades. The go-to place for tastemakers in search of individual interiors." ANN GETTY House Collection - "Started in July 2003, The Ann Getty House Collection features original designs and authentic reproduction furnishings inspired by the world-renowned Getty Collection and Mrs. Getty's extensive travel and design studies." ANTONIO CITTERIO - "Browse wall mounted shelving, pendant lamps and other furniture designed by Antonio Citterio designed for Maxalto, B&B Italia and others." ARCO - "We are Arco, we make tables." Tables take a central place in our lives and for over a 100 years we design & manufacture tables and matching furniture. Arflex - since 1947. Made in Italy. ARMANI / CASA - "Dress your home." Bathroom, beds, chairs, occasional furnitures, sofas and armchairs, storages and tables by Giorgio Armani. ARNE JACOBSEN FURNITURE - Danish design icon. He is remembered for his contribution to architectural Functionalism as well as for the worldwide success he enjoyed with simple but effective chair designs. ARPER - "In pursuit of the essential." ARTEK - since 1935. "The Artek collection comprises furniture, lighting and accessories designed by Nordic masters and leading international designers." Artemest - "Luxury Italian Furniture." All brands & models. Artistic Upholstery - "Designers and Makers of Bespoke Furniture Since 1952." ASHLEY HICKS - "Global lifestyle brand renowned for iconic, boundary pushing design. Following in his father David Hicks's footsteps." Ashley Longshore - "The Chairs in my collection are a reflection of the images in my paintings. I love the character and charm of antique furniture combined with a contemporary makeover! These chairs all showcase embroidered images or phrases from my artwork. I think it’s very chic to a have a great statement piece in any room of your home whether it’s a chair or a painting." ASPLUND - "25 years of new Swedish contemporary." Azucena - "Azucena is born of dialogue between the producer, architect, artisans and clients. Its origins date back to 1947, when a group of young Milanese architects decided to manufacture their own furniture in order to compile a catalogue of furnishing items (for everything from sofas to tables, door handles, and doorstops) for the houses they were designing." B&B ITALIA - "Leading Italian company in the international scene of design furnishings." Modern contamporary furniture. B-LINE - "Designer furniture and decoration for home, office and contract." Baker Furniture - since 1893. "Contemporary Furniture for Living, Dining, Bedrooms and Workspace." Baleri Italia - "Discover the most comprehensive selection of Baleri Italia online." BARLOW TYRIE - "Quality since 1920." Manufacturer of teak garden furniture and aluminium, sling, woven and stainless steel outdoor furniture. Bentley Home Collection - "Bentley furniture and homeware design inspired by the time-honoured craftsmanship and material selection that characterise Bentley car interiors." Now you can live the way you drive, with a new range of handmade furniture inspired by the techniques, the materials and the finishes that characterise Bentley’s renowned car interiors. Boca Do Lobo - since 2005. "Luxury Exclusive Design Furniture Manufactures." Boca do Lobo's mission is understand and interpret the past through technology and contemporary design. BOCONCEPT - "Contemporary Furniture. Modern Furniture." BONALDO - "Table, chair, sofa, bed and design complement." BONLUXAT - "Carefully curated modern furniture aggregator." Contemporary furniture, Modern Furniture and Designer Furniture. Bottega Veneta - "Discretion, quality, and craftsmanship – Bottega Veneta has created a new standard of luxury since its founding in Vicenza in 1966. Steeped in the traditions of Italy’s master leather craftsmen and long celebrated for its extraordinary leather goods." Latest furniture collection. BOUROULLEC DESIGN - softshell chair, among many others. BOUSSAC - "Fun prints, cheerfulness, a variety of textures, praise for cotton, geometrical drawings, creativity, innovation, originality, interpretations in line with current trends." Brabbu - "Design Forces - Contemporary Home Furniture." Design brand that reflects an intense way of living, bringing fierceness, strength and power into an urban lifestyle. BRAQUENIÉ - sofas, rugs, carpets, home accessories at Pierre Frey, Paris, France. Brunschwig & Fils - since 1900. "From grand rooms in the White House and the Palace of Versailles to romantic country retreats in cottages and seaside homes, Brunschwig & Fils fabrics, wallcoverings and furnishings have appeared for more than a century in the world’s most beautiful and iconic interiors." BØRGE MOGENSEN FURNITURE - "One of the pioneers that created the foundation for the Danish Design as a culture of furniture design. His life-long ambition was to create durable and useful furniture that would enrich people’s everyday lives." CALVIN KLEIN - "Relaxed Elegance for the Home. A Complete Lifestyle Approch to Living." CAPPELLINI - since 1946. "Explorers of Design imagination and reality." Cappellini collections are convincing: balanced products, refined, distinct and with a hint of experimentalism. CASSINA - since 1927. "Only Cassina makes authentic Le Corbusier furniture." Discover Cassina's furniture designers. Sofas, chairs and accessories designed by Le Corbusier, Philippe Starck and other famous authors. CERRUTI BALERI ITALIA - "Modern furniture and contemporary design." CHARLES & RAY EAMES FURNITURE - Chairs, Tables & More. CHRISTOPHE CÔME - "Materiality of sculpture: glass, steel and light. Reality of the spectator, the author and those choses that stimulate the senses." CLASSICON - since 1990. "Classic Contemporary Design." In producing our design classics, the accent is on quality. High quality means in concrete terms that pieces in the Classic Collection of furniture are indelibly marked and numbered consecutively. CLIVE CHRISTIAN - "Established as the considered purchase for luxury residences worldwide Clive Christian's timeless furniture is designed for every room in your home." Bespoke classical furniture and panelling. Colefax and Fowler - since 1933. COLOMBOSTILE - "Hand Made / Made in Italy." Luxury Furniture Since 1886. A gem of Italian high end furnishing and worldwide acknowledged. It is not by chance that Colombostile has been chosen for more than one century by institutions, embassies, luxury hotels and most important buildings of the great capitals. For 130 years our company has been exporting the excellence of Italian interior design to Europe, Middle East, Ukraine, Russia, India, China and United States. COR - "Aesthetics, purism and the highest finishing quality: furniture from COR has its own, unmistakable lines. We lend stature ­to this principle. It lives in every piece of furniture, wherever ­people appreciate beauty, comfort and functionality." Danish design - is a style of functionalistic design and architecture that was developed in mid-20th century. DARE STUDIO - since 2009. "Dare Studio design and produce luxury hand made contemporary furniture and lighting products." DE PADOVA - "A leading name in Italian design, De Padova was founded in Milan in the 1956." DE SEDE LEATHER FURNITURE - since 1965. "de Sede has dedicated itself wholeheartedly to the art of handwork. Anonymous, automated production processes have no place at our company. Every craftsperson at de Sede is a master of their profession." DESALTO - "Desalto are masters of Italian design and with the use of the latest technology and creative contributions from leading designers their products have won many design awards. Desalto products can be celebrated for their practical design and good looks." DIAMANTINI & DOMENICONI - "Huge Range Of Home Products." Donghia - since 1959. "Live a Well-Tailored Life." Donghia furniture consists of desks, buffets cabinets, étagères, side/end tables, cocktail tables, dining tables, sofas, chaises, chairs, and beds. DREXEL HERITAGE FURNITURE - since 1903. "Celebrate details that matter..." We continuously hone our ability to know when to say yes to trends and when to hold true to traditional classics – and more importantly, how to overlay the two, creating a look that is fresh yet timeless. DRIADE - "Italian Designer Furniture." DUNBAR - "As early as 1910, DUNBAR had established a reputation for providing the ultimate in quality handcrafted products to America’s most discriminating clientele." EAMES FURNITURE - Chairs, Tables & More. Ecart Paris - "Since 1978: re-editing & editing furniture, lamps and decorative objects." All our products, lighting, furniture and accessories, are manufactured in our workshops in France. We preserve a hand made and artisanal production to ensure you receive the finest quality. Edgar Brandt - Art Deco furniture. Edra - recognized as a well-established trademark and a reference point for international design. Edward Ferrell + Lewis Mittman - "Home furnishings and accessories have been created by hand in the United States since 1953. Collections span from eco-friendly to traditional to modern, with almost unlimited customization options." Eichholtz Interiors - business-to-business wholesaler of luxury furniture, lighting and accessories with a unique design. We aim to continuously inspire the interior design industry with our extensive collections. Eileen Gray - Irish furniture designer and architect and a pioneer of the Modern Movement in architecture. EILERSEN - since 1895. "High quality, handmade design furniture." Ekornes - "The most comfortable seating in the world. Made in Norway." When Ekornes was founded in 1934, we set out to change the way people think about comfort. Nothing exemplifies that more than our Stressless furniture line. Émile-Jacques Ruhlmann - renowned French designer of furniture and interiors, epitomising for many the glamour of the French Art Deco style of the 1920s. Emily Todhunter Collection - since 1988. EmmeBi Design - since 1970. "Home Italian Style." Emmemobili - since 1879. "The Excellence in Wood." ERIK JØRGENSEN - since 1954. "At Erik Joergensen, we aim to produce furniture that lasts. A passion for design and good craftsmanship is what characterizes our products." Established & Sons - "British brand representing all that is innovative in contemporary design." Etel - "Currently the most expressive brand of brand of high end furniture from Brazil. Recognized throughout Brazil and the world, its strong, diverse roots give rise to consistent and precious results." FADINI BORGHI - "A Baroque breath." At Pierre Frey, Paris, France. Ferm Living - "Danish company that designs and manufactures interior products with a graphic touch." FINN JUHL - Danish architect and furniture designer (1912-1989). FINN JUHL also designed The Trusteeship Council Chamber at UN in 1953. He was one of the leading figures in the creation of Danish design in the 1940s and he was the designer who introduced Danish Modern to America. At Pinterest. FLEXFORM - "Made in Italy quality brand in the world of interior design since more than a century." Specialized in lacquered and upholstered furniture, presents its history throughout pictures. FLOU - "Since Flou foundation, in 1978, sleep culture renewed everyday. Here you can discover it, in a world based on innovation." Fogia - "Furniture that lasts. For a long time." For thirty years we have created furniture and customized solutions for private homes, offices, restaurants and hotels for customers worldwide. Fortuny - since 1922. "Explore Fortuny's furniture collection with mid century modern shapes, brass and wood details, and fine US craftsmanship." Fox Linton - "Fox Linton is a leading British fabric and furnishings brand with a diverse range of natural fabrics. Supplying the residential and commercial market." FREDERICIA FURNITURE - "Classics from the golden age of Danish furniture." Fredericia has been producing innovative Scandinavian design since 1911, our history, personality and commitment to quality is clearly demonstrated in every piece of furniture that leaves our factory. FRITZ HANSEN - "Crafting timesless design since 1872." Exclusive design furniture. Danish design and Scandinavian design. GALERIE KREO - since 1999. "Focuses on producing new pieces in collaboration with the world’s most relevant contemporary designers." Paris, France. GEORGE HEPPLEWHITE - (1727-1786). Was a cabinetmaker. He is regarded as having been one of the "big three" English furniture makers of the 18th century, along with Thomas Sheraton and Thomas Chippendale. Graf Paris - 3, avenue Montaigne, 75008 Paris, France. GRAHAM SANDERSON Interiors - designer chairs. GUBI - "A Global Design House on a Journey." An innovative Danish design company manufactoring furniture and lighting. Habitat - since 1964. Retailer of household furnishings in the United Kingdom, France, Germany, Spain, and has franchised outlets in other countries. Harrods - the London department store launches its first own-brand furniture collection. HEINE DESIGN - "Danish Design Furniture." HENRY BEGUELIN FURNITURE - "At first the company mainly produced belts, a few handbags and some small leather goods. Soon it added shoes, boxes and a few leather baskets, and then furniture." HERMAN MILLER - since 1905. "Designs for your living, home office, and outdoor spaces." HOLLAND & SHERRY - founded in 1836. "In 1998, Holland & Sherry Interiors was born. In addition to fabrics, Holland & Sherry has developed collections which range across product categories from custom embroidery, rugs, wallcovering and trim, to leather, hardware and lighting. Every item we produce reflects our core values of quality and craftsmanship." Horchow - since 1971. Luxury Furniture: Sofas, Tables & Bedroom. HÜlsta - since 1940. "We build on quality." Hülsta stands for quality furniture. This is reflected in an exclusive design, carefully selected materials, exceptional workmanship and meticulously crafted details. IMM COLOGNE - "Fascinating trends for interior livng." Inch Furniture - "Contemporary Furniture Making." When we say wood, we mean solid wood. INCHfurniture puts this attitude into practice. INSTONE DESIGNS - "Delivering interior design and bespoke furniture with style." Instone Designs is a small interior design company which delivers handcrafted furniture, joinery and fitted cabinets to the highest standards for home and commercial clients. INTERIOR ADDICT - "Welcome to Interior Addict Designer Classic, Contemporary & Modern Furniture." interiorfox - "How You can save up to 90% off the original design? We are independent and not bound by expensive licence fees. After 25 years it´s legal in Spain to reproduce classic furniture designs, which were originally created to be sold as low cost items. By offering replicas, we´re not tied to expensive licence fees, so we can keep the price down and can make it affordable for everyone." JAMES PLUMB - "Create objects unique and editioned, and environments residential and commercial. London studio visits by appointment." JASON PHILLIPS DESIGN - since 2007. "We are a full-service design firm specializing in home furnishings that is both conceptual and in production." Jean Dunand - (1877-1942). French lacquer, sculptor, dinandier (copper manufacturer) and interior designer. He is considered the greatest lacquer artist of the Art Deco period. JEAN PROUVÉ FURNITURE - "In close cooperation with the Prouvé family, Vitra began in 2002 to issue re-editions of designs by this great French constructeur." JETCLASS - "Inspired by the elegance of classical handcraft, Jetclass proposes luxury furniture collections for eclectic and demanding buyers creating timeless masterpieces." JHANE BARNES - since 1976. Prolific product, textile, carpet and furniture designer. JOHN POMP STUDIOS - tables & storage. JONATHAN ADLER - since 1993. "We are dedicated to bringing Modern American Glamour to your life." Mid Century Modern Furniture & Luxury Furnishings. KARTELL - "A leading design company, founded in 1949 by Giulio Castelli and now run by Claudio Luti, Kartell is one of the symbols of Italian design around the world. A success story told through an incredible series of products – furniture, furnishings, lighting, home accessories – that have become part of the domestic landscape, not to mention actual contemporary design icons." KATHARINE POOLEY - "Award winning luxury interior design, architectural design, property development, home accessories and bespoke furniture design." KENZO - dining room furniture. KNOLL - since 1938. "Modern Furniture Design for the Office & Home." Koket - "Love Happens." KOKET brings empowering style to a highly edited collection of furniture & soft goods while exuding a feeling of entitlement, exclusivity and prestige. LAMMHULTS - since 1945. "Swedish Lammhults develops and markets modern furniture of international design for companies with high demands on quality and design." LANGE PRODUCTION - "Lange Production is proud to have the exclusive rights to resume production of this unique furniture, which is timeless yet captures the spirit of the age. Furniture where design, quality and function form a synthesis." Lanserring - "Lanserring is a design-led company that creates kitchens, furniture and lifestyle products for discerning clients around the world." LAPALMA - "Lapalma’s blend of good design and aesthetic appeal produces furniture with a strong personality and has seen contributions from designers of international renown." LAURA ASHLEY - "Beautiful Furnishings For Your Home." LE CORBUSIER LC COLLECTION - "The “Le Corbusier” collection, as it has been called since the nineteen seventies, would never have seen the light of day without the programme created by Le Corbusier in April 1927. He used sketches to establish the positions of the human body that the seating designs had to reflect." LIGNE ROSET - since 1860. "Contemporary High-End Furniture." Ligne Roset is synonymous with modern luxury and invites consumers to revel in a contemporary, design-forward lifestyle. LINLEY - "David Linley furniture and interiors of exceptional quality." LIVING DIVANI - "Perfect, harmonious proportions and a feeling of understated luxury: these are the distinguishing features of Living Divani, the dynamic and vibrant family-owned company, that has made its trademark of upholstery." LUZZO BESPOKE - "Authentic Creations. Designer & makers of fine bespoke furniture & lifestyle goods." Magis - "Established in 1976, Magis combines design, technological innovation and a 100% Made in Italy ethos to create high quality products. MAGNUS OLESEN FURNITURE - since 1937. "Develops and manufactures high quality furniture in cooperation with today’s leading designers and architects." Makr - "Made in the USA." MATHIEU MATÉGOT FURNITURE - Hungarian / French designer and material artist. He was one of the most renowned French designers of the 1950s. matteograssi - since 1880. "Design furniture for residential, office and contract in leather and coach hide. A History of quality Made in Italy." Maxalto Collection - at B&B Italia design furniture. Memphis Milano - "The Memphis movement has become an almost mythical symbol of "New Design" and its influence is still strong in many areas of production and beyond." MERIDIANI - "Meridani interprets classic themes and tradition with contemporary style. Pure lines. a constant research for new textures and finishes suggest a new idea for luxury. The collection is 100% Made in Italy." MINOTTI - since 1948. "Contemporaneity, comfort, reliability and durability. This is what allows Minotti to be at the forefront of the interior design market and stand out as a manufacturer and marketer of upholstered pieces and furniture designed for sophisticated, conscious customers." Mis En Demeure of Paris - the French interior decor company established in 1993, introduces a complete lifestyle for the home featuring exclusive pieces of furniture and accessories. MODERN CLASSIC FURNITURE REPRODUCTIONS - "XinHuaYun, professional manufacturer of Modern Classic Furniture, Designer Furniture, Hotel Furniture, Restaurant Furniture, Commercial Furniture provide unique and exclusive high quality products. Our aim is to produce beautiful, quality designer furniture in various styles and materials." MOLO - since 2003. "Working back and forth between the intimate scale of furniture and small utilitarian objects." Molteni & C - since 1934. "Since eighty years we are Italian leading furnishings companies. We match past and future in the name of quality living." MONTANA - "Making room for personality." Expressing yourself is what Montana is all about. We want to give you endless opportunities to create, frame and tell your personal stories through clever design and superior craftsmanship. MOOOI - "For ten years Moooi has inspired and seduced the world with sparkling and innovative designs. The venture founded in 2001 by Marcel Wanders and Casper Vissers is named after their native Dutch word for beautiful – the third ‘o’ in the brand name stands for an extra value in terms of beauty & uniqueness." MOROSO - since 1952. "Moroso has been working in close collaboration with some of the world’s most talented designers to produce luxury sofas and seating since 1952." Our ability to offer unique products is thanks to the combined talents of our 70 master artisans, our network of trusted suppliers, the use of high quality materials and a true attention to detail. MOTOART - "Own A Piece Of Aviation History." Creating functional art from decommissioned airplanes. High quality furniture using vintage airplane parts. MYFAB - "MyFab.com is an e-commerce solution that allows prospective shoppers to look for inventory directly from companies' factories and warehouses. The service cuts out middlemen in the e-commerce arena by dealing directly with manufacturers as suggested by site visitors. The company claims to deliver prices at 70% of the regular price via traditional retailing or other e-commerce sites." NATUZZI - since 1959. "Natuzzi blends design, functions, materials and colours to create harmonious living." The largest Italian furniture company and a world leader in leather sofas. 50 years of Italian design, harmony, quality made by our expert craftsmen. Produces over 400 different models in casual contemporary, modern and classic styles. Nina Campbell - Bespoke Furniture, Chairs, Sofas & Chests. "Nina Campbell is one of the world’s most respected and influential interior designers. Her list of clients and design expertise is unparalleled. Luxury home products & accessories including designer wallpaper, upholstery fabrics, home fragrance oil, bathroom accessories & home furniture." Nobilis Paris - "Nobilis has been creating exceptional fabrics, wallcoverings, furniture and rugs since 1928. OCHRE - since 1996. "OCHRE designs furniture, lighting & accessories with an emphasis on the use of fine materials and hand-crafted techniques." OKA - since 1999. "OKA is a British luxury furniture and home accessories retailer sourced with an eye for beauty, comfort and unique style." ORI - "Ori enables effortless transformation of interior spaces." Through architectural robotics, Ori's systems promise to liberate urban design, ... Ori is the brawn and the brain of the furniture and architecture of the future. Osdin Shield - "Protection Furiture." We design, create and build, unique, bespoke, ballistic resistant furniture. Palazzetti - since 1981. "The Classics of Modern Furniture." Retailer of Modern Classics Furniture, masters of of design of the 20th century, Bauhaus and contemporary design. PARNIAN - "Live Like You Mean It." Parnian Furniture has been the World leader in modern and contemporary furniture since 1977. PASTOE - "Timeless furniture design with endless possibilities, eye for detail and high quality since 1913." The secret is in the simplicity: our furniture is restrained and understated enough that one never grows weary of it. PAUSTIAN - online Danish webshop for international design furniture. Peter Opsvik - Norwegian design studio. Core competence is furniture design, interior design, ergonomics, environmental oriented solutions, engineering and communication. PHILIPPE STARCK FURNITURE COLLECTION - "Latest Philippe Starck furniture, products and designs." Bonluxat. PHILIPPE STARCK - official website. pierluigi ghianda - "Executed with rare perfection, whether they are made ?of rosewood, ebony or the more common pear wood are silky to the touch, smoothed and polished with expert and patient hand." PIERO LISSONI - in 1986 he begins collaborating as designer and Art Director with some of the best Italian and international furniture manufacturers. PIERRE FREY - "French Furnishing fabrics, Interior fabrics, Wallpapers, Sofas, Rugs, Carpets, Home accessories." Paris, France. Pierre Legrain - (1889-1929). African Design & Art Deco. PINTO PARIS - "Since 2009, Pinto Paris has been creating furniture, tableware, and accesory collections that are predominantly one of a kind or limited edition and made using rare materials." Poliform - since 1970. "Poliform is currently a leading player on the international furniture scene." POLTRONA FRAU - "The Timeless Elegance." Poltrona Frau, backed by a great history and tradition, lives in the present. Interpreters of timeless beauty, the company believes in the designs and materials that guarantee wellbeing. PORRO - since 1925. Italian design, furnishing for home and office. Porta Romana - "Destined for the World's Most Beautiful Interiors." Luxury lighting and furniture. POUL KJAERHOLM FURNITURE - "A trained cabinetmaker, Poul Kjærholm’s use of industrial methods and materials in the 1960s brought a fresh, graceful, sleek new style to Danish modern design." RALPH LAUREN HOME - all products. Rechteck - designer furniture. "Architecture has to be the backdrop of living." RÉMI TESSIER - "Award-winning Rémi Tessier is one of the world's elite interior designers of super yachts, private residences, luxury offices and haute-couture custom furniture." RICK OWENS - since 1994. The California-born fashion and furniture designer Rick Owens has developed a unique style that he describes as "luxe minimalism." Ritz Paris Home Collection - Luxury Living Group. Riva 1920 - "Made in Italy." The products that make up the Riva 1920 collection are made of genuine solid wood of reforestation, using varieties such as maple, cherry, oak and walnut. Characteristic feature of the company is the wood of reuse, such as the thousand-year old Kauri from New Zealand, Briccole of Venice and the scented cedar from Lebanon. RIVIÈRA MAISON - since 1948. "Each piece of furniture is hand-made. Our furniture provides endless possibilities for variation, and there is something for every type of interior, so go ahead and mix & match!" ROCHE BOBOIS - since 1960. "French designer furniture company Roche Bobois celebrates 50 years as the unparalleled international leader in high end design." ROLF BENZ - since 1964. High quality German made funiture company. One of the best known manufacturers and marketers of premium upholstered furniture in Europe. Rubelli Casa - founded in 1858. Rubelli Group production covers two main categories: textiles and furniture and furnishing accessories. RUD. RASMUSSEN - "Danish Art Furniture since 1869." High quality furniture classics in Danish design by Professor Mogens Koch, Børge Mogensen, Kaare Klint, Hans J. Wegner, and more. (Visited by the Prince of Wales on March 26, 2012). SKITSCH - since 2009. "Design collection of furniture, all designed exclusively by renowned designers." Something Special - established in 1983 in Copenhagen. "Timeless, international and unique design with a touch of luxury, glamor and exuberance. Specialty: Art Deco & Jugend styles." Online sales also. SPAZIO PONTACCIO - "This is the place where collections are selected and presented for their creativity and good taste, or other words for their beauty." STEFANO RICCI Home Collection - "Evolves on a changing and exciting line between rule of art and innovation, design and tradition. It is a perfect equilibrium of pure lines, precious fabrics and timeless design." SUMMIT FURNITURE - since 1979. "Dedicated to the finest in design, materials and craftsmanship." Beautiful handcrafted teak furniture for contract, residential and marine environments. Svenskt Tenn - since 1924. "Svenskt Tenn has a wide range of beautiful, timeless furniture in solid, sustainable materials. You’ll find a combination of carefully selected designs by contemporary designers as well as Josef Frank’s classic designs. There are kitchen and dining room chairs and tables, cabinets, sofas, armchairs, stools and much more." TERENCE CONRAD - since 2003. "The Content by Terence Conran collection encorporates a range of stylish modern contemporary Upholstery and Cabinet furniture, which is sold through a range of quality Furniture retailers in the UK and Overseas." The Future Perfect - since 2003. "Born from a desire to create a showcase for exceptional decorative arts and design." Thomas Chippendale - (1718-1779). London cabinet-maker and furniture designer in the mid-Georgian, English Rococo, and Neoclassical styles. Thomas Sheraton - (1751-1806). Furniture designer, one of the "big three" English furniture makers of the 18th century, along with Thomas Chippendale and George Hepplewhite. THONET - since 1819. "The combination of cutting-edge production technologies and traditional craftsmanship has made Thonet one of the most successful furniture companies worldwide." TOM DIXON - "Leading British design brand whose distribution spans 65 countries. Established in 2002, the Tom Dixon brand is inspired by its unique British heritage, and launches lighting, furniture and accessories collections annually in Milan, New York, London and Paris." Tomasz Starzewski - signature furniture. TRUMP HOME FURNIshings - "There is no better way to live the Trump lifestyle than through Trump Home décor." Uggen & Eggen - "Ugglan & Eggen is a small carpentry with a great passion for wooden handcraft. All our products are crafted by hand by our cabinet maker and we work with wood that we cut and dry ourselves or choose with great care from local producers. Ugglan & Eggen also makes furniture, mostly our own designs. We like to work with wood that has a unique character and history, which gives each piece of furniture its own story." VARIÉR FURNITURE - "The global leader in Human Design – the fusion of aesthetically pleasing design and knowledge of what is good for the human body (ergonomics)." VEDDER - "Finest interior. Exactly what you want." heart, and in our origins, we are a traditional German manufacturer. We concentrate on precision and quality, on dependability and punctuality, on knowledge and skills down to the last detail. VERNER PANTON - "Tribute to the 20th century designer of furniture, lighting, wall art and fabrics. He is known for designing inflatable furniture and single molded plastic chairs." VERPAN - "Danish company licensed to produce and distribute a large number of designs made by the world famous designer Verner Panton. Verpan co-operates with the Panton estate." 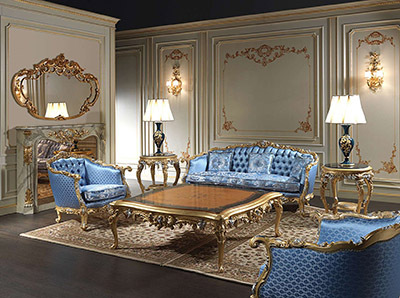 Vimercati - "Luxury Classic Furniture." Handmade in Italy. An artisan tradition that has its highest points in the classic furniture in Baroque style, Louis XV style and Louis XVI style, but also in classic Italian furnishings, such as classical furniture that are inspired by the 'Maggiolini'. The classic furniture Vimercati are rigorously made in Italy by artisan production, with carved parts, finishings in gold and inlaid all handmade. Vipp - "The bigger things in life should last you a lifetime." VITRA - since 1950. "Creating innovative products and concepts with great designers is Vitra’s essence." They are developed in Switzerland and installed worldwide by architects, companies and private users to build inspirational spaces for living, working and shopping as well as public areas. VOGA.COM - "The Original Quality: There are replicas, and then there are Voga replicas. At Voga, you get the original quality at prices that can not be copied." WALTER KNOLL - since 1865. "True values of living. Walter Knoll creates living spaces. With masterly craftsmanship, exquisite materials and sustainable design. Furniture from Walter Knoll fulfils the desire for quality of life and creates genuine values. For the international lifestyle of today. Walter Knoll is known as the furniture brand of the modern age." WILLIAM YEOWARD - since 1998. "Bespoke and ready made designer furniture by William Yeoward. Browse our superb range of handmade designer furniture on-line." Willy Rizzo - "Willy Rizzo's furniture design channelled the sophistication of Mies van der Rohe & Le Corbusier, his pieces combining clean, simple lines with bold geometric forms and a delicate handling of materials. His lack of formal training in furniture design placed him outside Italy’s strong, indigenous design traditions, making his style utterly unique at the time." WOODCHARM - "Woodcharm manufactures and retails hand crafted, solid wood furniture in Nairobi, Kenya. Begun 40 years ago on a dairy farm outside of Nairobi, we have since furnished spaces from Uganda to the United States, India to Sweden. Woodcharm’s catalogue ranges from classical Louis furniture to straight-line contemporary designs." XO - "Putting together forms that do not seem to go along naturally and see that, in fact they do." ZANOTTA - "Established in 1954, Zanotta is one of the recognized leaders in Italian industrial design." Well known for its collaboration with iconic design notables including Achille Castiglioni. Today's collection inlcudes armchairs, sofas, storage units, bookcases, chairs, tables, coffee tables and accessories. Diverse manufacturing technologies are employed in harmony with the company philosophy aimed at research and development. Zoffany - since 1980. 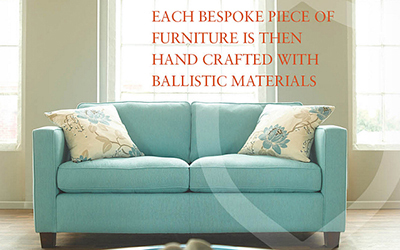 "Zoffany’s furniture range is handmade, expertly upholstered and softly trimmed. Each piece has a timeless style, to create a sophisticated finish to the home. The Classic Collection is inspired by historically revered styles which are tailor made to meet the demands of modern living and contemporary interior design."